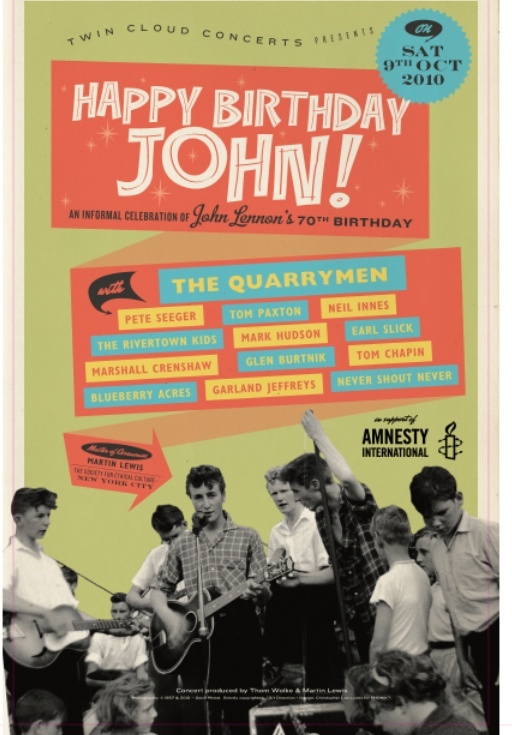 This Saturday -- October 9th -- is the exact 70th anniversary of John Lennon's birth. 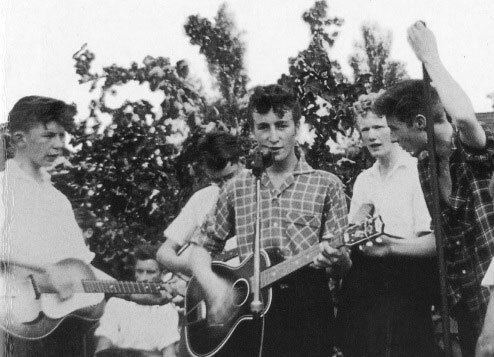 There are multiple celebrations taking place worldwide, including the US release of the superb movie Nowhere Boy about Lennon's teenage years, the formation of his band The Quarrymen and how it evolved into The Beatles. One of the most poignant and joyous salutes will take place in a concert hall in Manhattan that is just six blocks from both the Dakota building where John Lennon lived for the last nine years of his life -- and from the Strawberry Fields Memorial to Lennon in Central Park. For in the concert hall of the quaintly named "Society For Ethical Culture" (located at the corner of West 64th Street & Central Park West) this Saturday night will be a collection of music stars and friends of John Lennon who are gathering to pay an informal musical tribute to Lennon with a charity concert in support of the human rights organization Amnesty International. Underscoring the universal appeal of John Lennon's music across the generational universe, the list of guest performers who will all be performing Lennon songs goes across the age range from 9 to 90. At the highest end of the age spectrum is the venerable PETE SEEGER (91-years-young) who has declared that he "must show up for John Lennon." He will be leading a mass rendition of Lennon's 1969 peace anthem "Give Peace A Chance" -- together with a choir of youngsters from the age of 9 upwards called The RiverTown Kids, who Seeger has been mentoring. • EARL SLICK -- the David Bowie guitarist who worked on Lennon's final album (1980's Double Fantasty) and previously on Lennon's 1975 collaboration with David Bowie, "Fame." • NEIL INNES -- the former Bonzo Dog Band and Monty Python songster who co-created the affectionate Beatles pastiche The Rutles and played the Lennon-esque Ron Nasty. Innes appeared with Lennon in the 1967 Beatles film Magical Mystery Tour. • TOM PAXTON -- the revered folk singer who first came to prominence in the 1960s and who composed the song "Crazy John" in 1969 as an ode of appreciation to Lennon for his pioneering political activism. • MARSHALL CRENSHAW -- the iconic singer-songwriter who became successful in the 1980s for his Lennon-style songs. Crenshaw had portrayed Lennon in the stage show Beatlemania and subsequently played the part of Buddy Holly in the film La Bamba. • MARK HUDSON -- one of the Hudson Brothers who enjoyed success as a comedy-rock trio in the 1970s -- Hudson was a friend of Lennon's from that period. His credits as a record producer and writer include Ringo Starr, Ozzy Osbourne, Harry Nilsson, Hanson and Aerosmith. 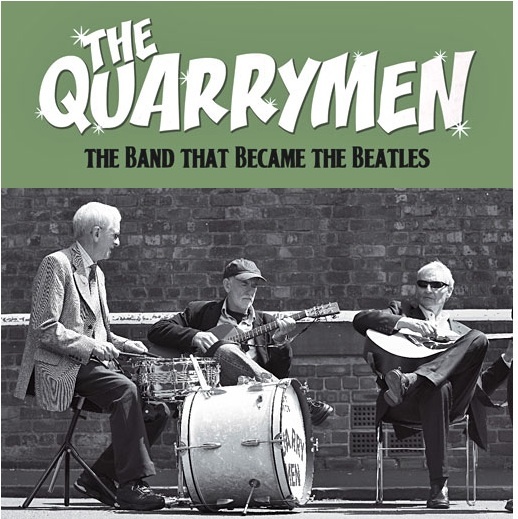 • GLEN BURTNIK - former member of the band Styx who appeared in the Broadway production of "Beatlemania" as Paul McCartney, alongside Marshall Crenshaw, who played John Lennon. He has written hits for Patty Smyth and Don Henley. • TOM CHAPIN -- Grammy Award-winning singer-songwriter also known for his children's music. The brother of the late Harry Chapin, he appeared in the Broadway production of Pump Boys and Dinettes, among several shows. • GARLAND JEFFREYS -- cult singer-songwriter of African-American and Puerto Rican descent. His music is a unique blend of rock 'n' roll, reggae, blues and soul. Worked with Lou Reed and John Cale before embarking on his solo career. • NEVER SHOUT NEVER -- the stage name for 19-year-old Chris Ingle -- a new artist from Missouri with a remarkable 800,000 fans on Facebook. Recently signed by Warner Bros Records after a major label bidding war sparked by his massive internet following. • BLUEBERRY ACRES -- a band of four teenage boys from Ringwood, NJ, who are all age 15 or 16 -- the same ages that John Lennon and his pals were when Lennon started his first band. Winners of the annual "Battle of the Beatles Bands" contest at the official Beatles fan convention. The band recently performed at the party following the US premiere of Nowhere Boy in front of Michael Stipe, Courtney Love, Billy Connolly, Kristin Scott Thomas and other celebrities. • TICKETS: $40:00, $49.95 & $70:00. The $70 ticket-holders attend a post-show VIP reception with the stars.